We have gathered some of the most effective words of affirmation examples that you can work with to change your beliefs in any area of your life. Find powerful examples of affirmations that can help improve your health, love life, finances, state of being, self-esteem, and body weight. Check out the positive affirmation examples below if you want to change your patterns of thoughts! How can positive affirmations change my beliefs? You may have heard that positive affirmations can be very helpful in changing your “inner beliefs”. But how does this work? Well, it’s important to understand that a belief is just a pattern of thoughts. So, if a belief is just a pattern of thoughts, it is possible to change a belief – by changing your way of thinking. 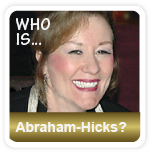 You see, you have created a patterns of thoughts – your beliefs – subconsciously as you have been exposed to life. This is an empowering knowledge because it means that you can change those patterns of thoughts that are not working for you. 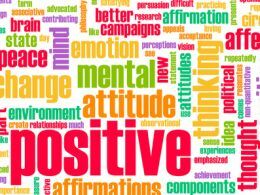 If your pattern of thoughts don’t support you in your life, you can change them by working with positive affirmations. We have therefore gather a few very powerful positive affirmations examples below that you can use to change your beliefs. Pick the area/s in life that you want to improve and read the positive statement examples. Select two or three of the examples of words of affirmations that you feel most drawn to. Write your favorite affirmations on a piece of paper and put it on a mirror, fridge, or place it beside your work station, or somewhere else where you will see your positive affirmations. You could also draw a picture to enhance the words of affirmation examples that you want to work with. 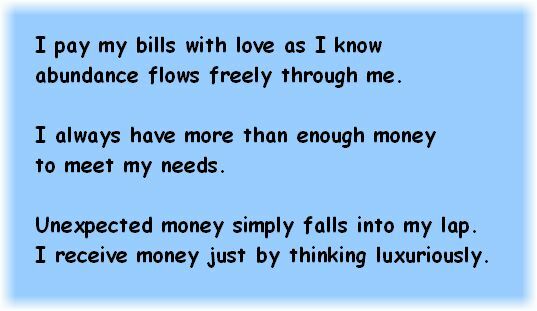 A tip is to work with affirmation cards, if you want even more examples of daily affirmations to choose between. You simply pick an affirmation card from the card deck and then focus on the message. The next day you work with another affirmation card that you pick from the card deck. There are many affirmation cards to choose from and they are sometimes categorized into different areas of life such as health, weight-loss, love etc. As you browse through the positive affirmation examples, it’s very important that you pick the ones that you are most drawn to. Why? Because the process of changing your beliefs will become more effective when the examples of words of affirmation resonate with you on a deeper level and connect with your emotions. You see, when both your brain and your emotions are vibrating on a high frequency, you send out a very strong signal to the universe – and whenever you feel good you allow positive manifestations into your life! The best time to do your affirmations is early in the morning – before you have introduced any resistance. When you sleep, you have no resistance – so when you wake up, you have the best chance of feeling good. It’s very important that you feel good as you do your affirmations, because it’s not only your words and thoughts that are sending out a signal to the Universe – your emotions are also vibrating and sending a signal to the Universe. So, in order for your affirmations to be effective, you need to make sure that your words, thoughts, and emotions are vibrating on a high frequency. If you work with positive affirmations when you are upset, you will only send mixed signals. So, if you feel bad, don’t do any affirmations! Instead, take a nap or meditate for a while, to stop the momentum of your negative thoughts. Then, when you feel relaxed and more positive, it’s time to do your affirmations. We have gathered some of the most powerful positive affirmation examples that you can work with to improve your health, love life, money situation, state of being, self-esteem, and body weight. Remember to have fun as you work with your affirmations! The words of affirmation examples above don’t work! If you have worked with the positive affirmation examples above without any success, there are things to be aware of. It takes a little time until you will get an actual physical manifestation. 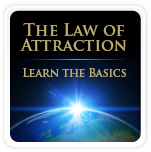 However, you will instantly get a positive emotional manifestation with your affirmations – provided that you are doing it right. You see, the key to success is to feel good as you work with positive affirmations. If you don’t feel the words that you are saying (in your head our out loud) – as you work with the positive affirmation examples above – then it is just your lips talking! The Universe responds to the signal that you are sending through your emotions as well, so it’s important that your head and emotions are ”saying” the same thing! A tip is to browse through the positive affirmation examples again and pick the ones that give you a positive emotional response, and then work with the affirmations when you feel good, preferably the first thing in the morning – in front of the mirror!